With the current financial intricacies, it is imperative to ensure that every dime you spend is fully accounted for. This implies that you have to look for ways to trim down your budget without sacrificing the quality of your life. When you are looking for skip hire services in SE17 Walworth, it is essential to go for a company that offers reasonable rates. It is at this point that Easy Go Skips comes in handy. We have been in the skip hire industry for quite a long time dealing with all kinds of skip hire tasks. Therefore, we have the necessary experience and skills to offer specialized SE17 Walworth skip hire services. In addition, we have put together a group of competent waste management specialists with many years of working experience. Our experts are committed to offering nothing short of the best waste collection services. You can thus rest assured that your project is in good hands. We are always willing to go out of the way to ensure you get the exact type of skip services you desire. We will begin by assessing your project in order to understand your preferences and find the best way to fulfill them. We also make sure that the quote we offer is appropriate for you. We wouldn’t want to leave you in a financial tumult at the end of the assignment. However, this doesn’t imply that we compromise on the quality of our services. In actual fact, we ensure that the skip we provide you with is in good condition. Unlike other skip hire companies in SE17 Walworth, we will only charge you for the services offered. Thus, we guarantee to give you a quote that is free of any hidden charges. 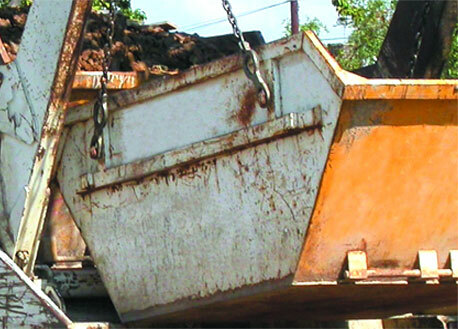 We offer skips to a wide range of clients including building and construction contractors, residents, and factories.